It's like Desperate Housewives meets Mamma Mia! Why See Girls Night - the Musical? THE TRANSATLANTIC HIT KEEPS ON GOING! We follow five friends in their 30s and 40s have a wild and outrageous girls' night out at a karaoke bar. Friends since their teens, they have all had their fair share of heartache and tragedy, joy and success, including losing their sixth friend prematurely to cancer. Together, they reminisce about their younger days, celebrate their current lives, rag on each other with risque jokes and look to the future, all the while belting out an array of classic girly anthems that include Lady Marmalade, It's Raining Men, Man I Feel Like A Woman, I Will Survive, and of course, We are Family. For mature audiences only. And as it is one big bachelorette part-ay, we're sorry boys, you're not welcome! Sound good to you? 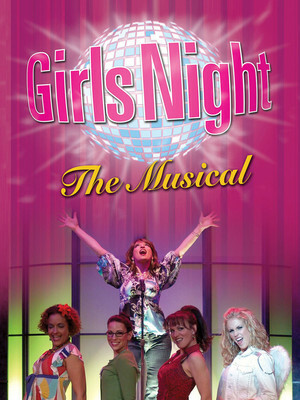 Share this page on social media and let your friends know about Girls Night - the Musical at Brown Theatre. Please note: The term Brown Theatre and/or Girls Night - the Musical as well as all associated graphics, logos, and/or other trademarks, tradenames or copyrights are the property of the Brown Theatre and/or Girls Night - the Musical and are used herein for factual descriptive purposes only. We are in no way associated with or authorized by the Brown Theatre and/or Girls Night - the Musical and neither that entity nor any of its affiliates have licensed or endorsed us to sell tickets, goods and or services in conjunction with their events.